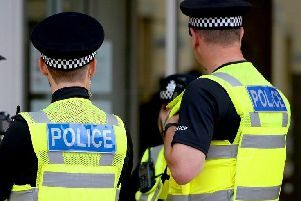 Police are searching for three more people in connection with a mass brawl in Dewsbury, but have released two Wakefield suspects on bail. Police launched an investigation following the fight near a car park near Cliffe Street at 11.23pm on Tuesday. A 28-year-man was taken to hospital, but hit injuries were described by police as “minor”. Two Wakefield men, age 21 and 22, arrested on suspicion of violent disorder have now been released on bail pending further enquiries. Police were trying to establish the motive behind the disorder. Police stepped up patrols in the area yesterday, although they have said the brawl was an isolated incident. Detective Inspector Ian Thornes of Kirklees District CID said: “This appears to be an isolated incident and enquiries are ongoing to establish the full circumstances.